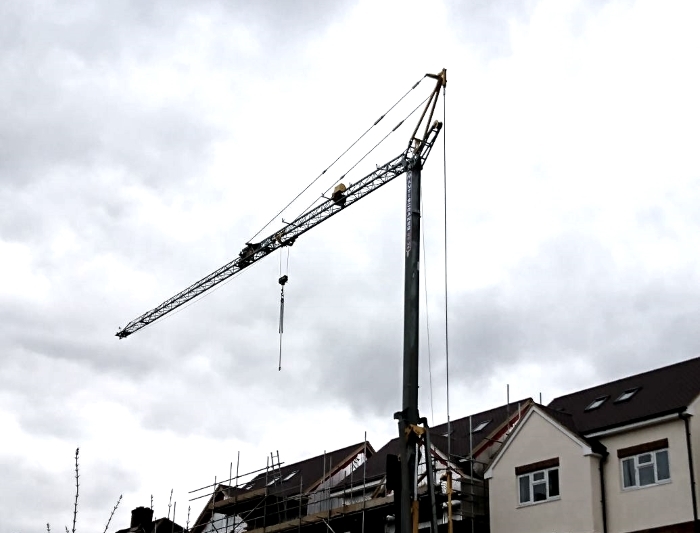 We have a Mantis TC25 on a Housing Project in Luton coming to the end of its 20-week Crane Hire Project. The Pedestrian Operated Tower Crane, the smallest crane on our Tower Crane Hire fleet, has been working on the residential development project since September 2017. The development was formerly the site of a car park and is now being developed into four four-bedroom houses. The construction project is aimed at enhancing the surrounding area. The Mantis TC25 that we placed on site was configured with a 25m jib and 19m hook height, providing a 750kg lift at the end of that jib. This crane features an on board generator, making it very efficient to have on site. We also provided spreader mats for the duration of the project.